The weather report on TV tell us that this has been the wettest April in the UK for 100 years!! How many of you guys window cleaning residential properties have lost money because of the bad weather this month? All that high wind and hard constant rain? If you are like me, you would of calculated that the £2,500 ( for example) of money your residential round brings in each month is worth £30,000 per year. You will be basing your entire home economics on this figure. Guess what, your real take home annual pay can much lower than the figure you think. This is because of holidays, bank holidays or simply bad weather. And when you have a month of it, there goes one lot of that monthly £2,500. So what are you going to do in May? I tell you what your going to do! Your going to up sell. 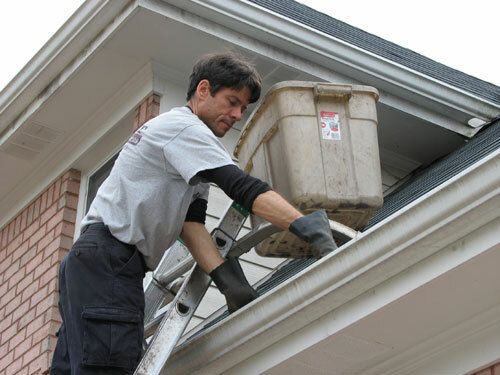 This bad weather would has messed up conni roofs, blown dirt and moss into gutters and blocked them up. The weather would of messed up down pipes and exterior guttering. The great thing is, we have longer days now! Up sell, up sell, up sell! You will be doing your customer a good turn plus yourself. Everybody’s a winner!! ← The secrets of cleaning windows with pure water.